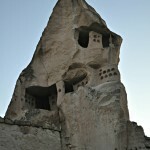 « Day 507 In Beijing: Our First Day In Goreme, Turkey. 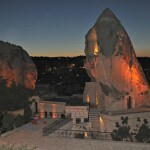 Day 508 In Beijing: Sunset In Goreme, Turkey. The mountain range as the sun sets. 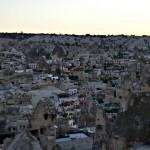 Jill and I hung out on the platform, overlooking the gorgeous town of Goreme, and watched the sunset. 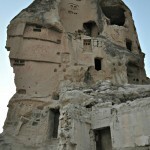 We were lucky enough to be one of only about 10 people up there so it was very quiet and very calm. The town is known for the hot air balloon rides, but since those only go up in the morning, there is very little traffic or anything else going on in this sleepy little town, which was perfect for us. We both grew up in relatively small towns and love the quiet and the outdoors. It is something we desperately miss living in Beijing as there is almost no quiet time and almost no outdoors. 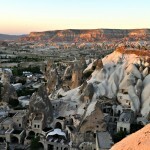 There are parks, and some are quite large, but they are usually full of people. Sadly, most those people are posting pictures of themselves and not even paying attention to the nature and the beauty right in front of them. The irony is that I was taking pictures of this natural beauty while complaining about it but this was only for a few minutes. Jill and I spent most the time just wandering around, in utter joy, looking at people, the architecture, and the nature while being amazed that we are lucky enough to be in this amazing town. 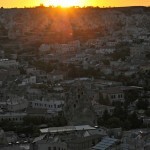 So, with that, I’ll leave you in peace to enjoy the sunset with us. Enjoying the sunset and being tourists. 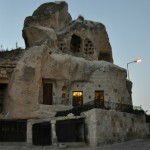 One of the homes in Goreme. 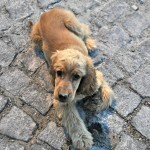 A cute doggie we met on our walk. 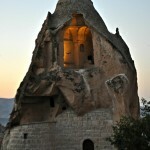 The sun light reflects off a window in one of the cave houses. Absolutely gorgeous view from our balcony.